I did not initially like “Frozen.” You probably hate me now, but bear with me. I don’t think it was the movie’s fault. Maybe it was the piercing voice of the kid in the row behind me, booming out continuous commentary and outrageous laughter. Probably I’ve become too old and grouchy to hear how reindeer are better than people, in a song no less. It was long after I had left the movie theater that the movie finally tugged on my heartstrings. 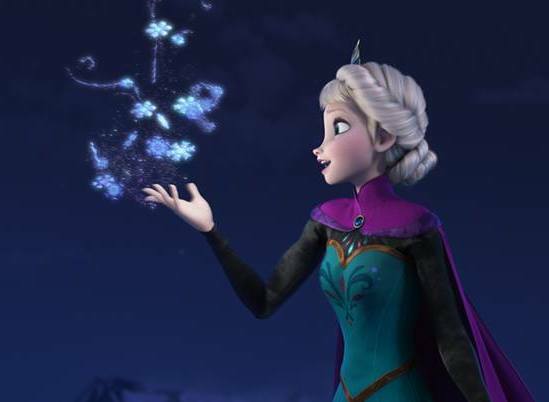 Disney released a video of “Let it Go” sung in 25 different languages, ranging from Serbian to Bahasa Malaysia. Being the international fanatic that I am, I fell in love. The video helped shrink the Pacific Ocean between my family and me. Listening to multiple languages strung together in the Oscar-nominated song reminded me that certain things are universal. Even people in places that never see snow relate to themes of self-empowerment, the love and bouts between siblings and overcoming struggles and preconceptions. Today’s globalization goes way beyond shared emotions, though. The other day, I received a package with Mandarin written all over it. Had my parents sent me something from Shanghai? I had written such a possibility off because they received my copy of One Book One Northwestern months after I had left for college. No, the package was from Shenzhen. It was the plastic iPhone speaker I had ordered to give to my brother for Christmas. Now I understood why the predicted delivery time spanned from five to 40 days. Amazon could have just told me it was going to ship the speaker over from China. That’s where my brother lives. I should have known better. I did watch the Mexican-dubbed version of an American movie based on a Danish author’s classical story, after all. It seems that nothing is a product of just one nation anymore.